Born in El Minia, Egypt, Ahmed Sami gained his veterinary qualification at the Faculty of Veterinary Medicine, Cairo University in 1958. He completed his Dr medicinae veterinariae at the Department of Poultry Diseases, Giessen University, Germany, and in 1971 he successfully submitted a Dr habilitatus thesis at the Department of Poultry Diseases, University of Munich. In 1958 he joined the staff of the Department of Poultry Diseases at the Faculty of Veterinary Medicine, Cairo University, and became professor in 1976. In 1976 he moved to the Faculty of Veterinary Medicine, Alexandria University, as dean of the newly established Faculty of Veterinary Medicine. From 1979 to 1982 he was professor of poultry diseases at the Faculty of Veterinary Science, King Faisal University, Saudi Arabia. He returned to Alexandria University as Head of the Department of Poultry Diseases, until his formal retirement in 1993 and appointment as Emeritus Professor. 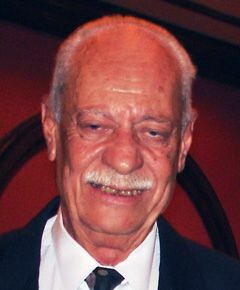 Ahmed Sami established the Egyptian branch of the World Veterinary Poultry Association in 1986 and served as its president until 2006. He organized the XII World WVPA Congress in 2002 in Cairo. He served as Vice-President of the WVPA from 1997-2005, and was appointed Honorary Life President of the WVPA in 2005. His contributions to poultry science have been recognized through awards from industry, academia and the state. He acts as a scientific advisor for several poultry companies in Egypt and other Arabic countries. He has headed most of the governmental committees related to poultry diseases and production in Egypt over the past 40 years. His knowledge and expertise were fundamental to enhancing and growing the poultry industry in Egypt and the Middle East. Ahmed Sami's work focused on diagnosis and control of poultry diseases, with particular emphasis on respiratory and food-borne diseases. He published many papers in peer-reviewed journals and supervised over 50 post-graduate students. He is best remembered for his work on Newcastle disease, infectious bronchitis and adenovirus infections, but he also worked on bacterial and parasitic diseases of chickens, ducks and geese. Outside work, he had a keen interest in politics. He leaves behind his wife Hildegard, his daughter Susanne and his son Hani, as well as many friends. WVPA thanks Hafez Mohamed Hafez for compiling this profile.